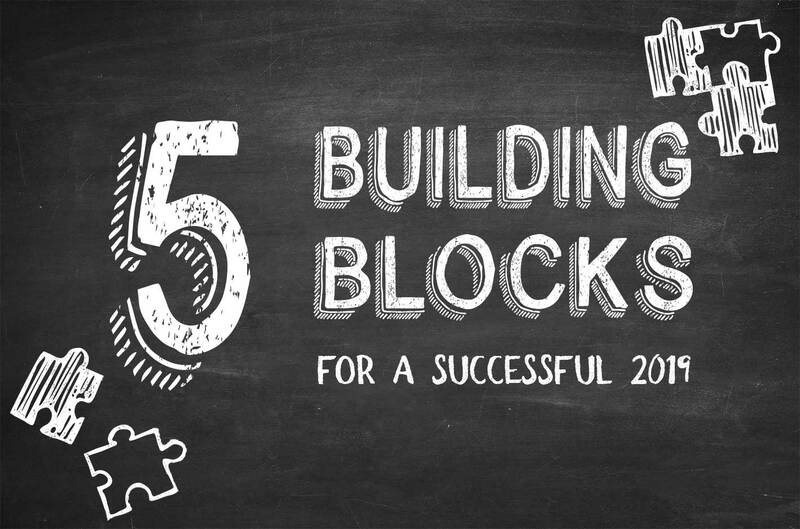 With the new year ticking over, we find ourselves asking what it is going to take for our businesses to remain successful and meet our growth goals. For some of you, online marketing just supports your brick-and-mortar business model, while for others, like us, you live and breathe in the digital world. So let’s start with a few stats from the 2018 Telstra Small Business Intelligence Report. Some of these we found really surprising! With the right digital marketing strategy, businesses can enjoy a consistent stream of new enquiries in 2019 and a genuine opportunity to expand among their existing customer base. The important take-out from the above stats is that if you are feeling behind the curve, you are not alone. If you can establish and continue to focus on each of these 5 functions not only will you be able to create a steady stream of customers and revenue, but if used to your best advantage, also achieve your 2019 business growth goals. However, you must keep in mind that for these ‘building blocks’ to be most effective you need to follow the order suggested, as each step has a permeating effect that will impact your next steps. First things first, you must consider your brand. For many companies, ‘brand’ doesn’t go much further than a logo and maybe some key values, but in order to succeed you have to ask yourself some deeper questions. For example, does the current branding portray your business in a way that is authentic and engaging, with consistent messaging that resonates with your target audience? Your brand is often the first exposure to your business that your potential customers have, so before you can move forward you must make sure that you have a defined and consistent brand strategy, outlining your mission, messaging, voice, pricing, logo and tagline — because what’s the point in having a website if you’re not able to confidently present your brand in a way that matches directly with your service/delivery processes? A good place to start is to ask your customers one simple question — how do they “feel” about your brand? Building a quality brand breeds loyal customers and helps you stand out in a crowded marketplace. A strong brand encourages referrals, creates a sense of pride for the team, and most importantly establishes a human connection with your customers. Once you have a clear, defined brand the next step is to start working on your website (or landing page). As a customer, generally the first port of call when evaluating prospective companies is their website. This is your chance to reflect your newfound brand and values and give customers an insight into who your company is and the experience they are likely to receive when they engage with your organisation. As you enter this phase of building your digital footprint there are a few questions you should start to ask yourself. For example, does the site provide users with the right information (and the right amount) in the most conversion-friendly layout? Is the site optimised for all devices? Is there a clear call to action? For your site to be successful it should do more than just present an overview of your business otherwise you’ll be missing out on some great opportunities. Keep in mind, your website doesn’t have to be “perfect” straight away (because there’s really no such thing!) – a simple one-page site will take you from unknown to discoverable. The key to success will come from telling each visitor their own story – presenting information that is relevant to them, in the right order, making it easy for them to make a decision. Excite Media started life as a web design agency – building great looking websites to meet the individual needs of our clients. Over time we saw these sites were a lot like a smart new car sitting in driveway – it needed fuel, registration, maintenance and most importantly a driver. So we started adding specialists who focus on building traffic. The question we get asked most often now is which approach is best: SEO (Search Engine Optimisation) or PPC (Pay-Per-Click Advertising)? Using paid channels like Google Ads or Facebook Ads gives you the benefit of a quick ROI – the money you spend on clicks today will relate directly conversion like downloads or leads. Trouble is, it’s a hungry beast that requires a constant flow of budget. SEO on the other hand delivers free or organic traffic through your top ranking results in favourite search engines. Google dominates this world as well and is a tough master that demands a long-term investment in both on-page and off-page activities. But which approach is better? It depends on your needs and budget, and your marketing environment – competitors with deep pockets can put pressure on either strategy. So our advice when it comes to the traffic challenge – take a balanced approach and share the focus across the sugar hits that PPC can deliver with the sustainable slow release carbs you can get from SEO. Once you’ve established a solid brand, created a relevant and engaging site and have a steady flow of incoming traffic, you must ask yourself – are those visitors converting? While there are benefits to having an online ‘brochure’ for your business, the real power of this asset is in capturing leads, and better still, customers. The most successful way of doing this is through Conversion Rate Optimisation (CRO). Conversion rate optimisation is the process of methodically making updates to your site with the intention of improving the number and quality of leads and enquiries coming through. It may surprise you that the simple act of changing a button colour from orange to green, for example, can result in a lift in conversions. More substantial changes, like updating an image or the banner’s key message, can result in even more dramatic conversion increases (or decreases if you don’t get it right!). In the words of entrepreneur Gary Vaynerchuk, “the market is the market”, meaning that despite the best intentions of your marketing team, it is the end user who will ultimately choose how they will interact with your website. So while you may hypothesise that a particular site improvement will boost conversions, the proof will always be in the pudding. You’ve spent a lot of blood, sweat and tears (and money!) to get to this point. You’ve defined your brand, built a conversion-focused website, generated traffic, and are receiving plenty of opt-ins/leads/enquiries. It’s been a lot of effort to create this first touchpoint, but just as difficult and costly it was getting them through the door, it will be more difficult watching them leave and never come back! Not everyone makes a decision to buy immediately. Sometimes they may visit your site a number of times before purchase. Therefore the Nurturing step, despite being the last, is in a lot of ways the most important. There’s an old rule in the advertising world, the “Rule of 7”. The Rule of 7 states that someone needs to be exposed to a brand a minimum of seven times before buying a product or service. It was a term coined in the 1930’s in the movie industry, and still rings true to this day. The number may now be much higher due to “ad blindness” (studies have shown that people are now exposed to around 5,000 ads per day) meaning that it is essential to have compelling, targeted ads. Going back to Step 1, your branding and messaging are key to break through the noise. The good news is that through social media remarketing and the strategic use of email, it’s easier than ever to get your brand in front of the right customers, with the right message, seven (or more) times. Step 5 (Nurturing), therefore, is essential to capitalising on all of your hard work by turning leads and enquiries into customers. And customers into vocal advocates of your business, bringing repeat customers and referrals through the door, as well as increasing the average lifetime value of your customers. While it may seem a great deal of work to complete all five steps, the benefits don’t need to wait that long. Through thoughtful and strategic planning, you will start to notice ROI improvements as you optimise each building block. There’s no end-point to marketing. Instead, approach marketing as an ongoing, iterative process.A weekly or monthly evolution will bring your business much greater success as opposed to a revolution every couple of years. Even the smallest of improvements to your digital marketing activities can make a significant impact — remember, small hinges swing large doors. As we all start the new year, with a growing list of business priorities that focus on your goal revenue and profit, remember the stats reported at the top of this story and know that the opportunities for growth can still be found in some easy pickings in the digital ecosystem. If you need help building your digital roadmap for 2019, drop us a line and arrange a 30-minute call with our of our digital strategists. 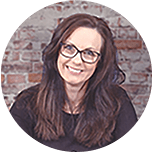 Part numbers nerd, part strategy seeker and full curious creative, Tracey’s role here at Excite Media is to help our clients get more customers, revenue and brand awareness for less money, effort and stress. Simple, really.